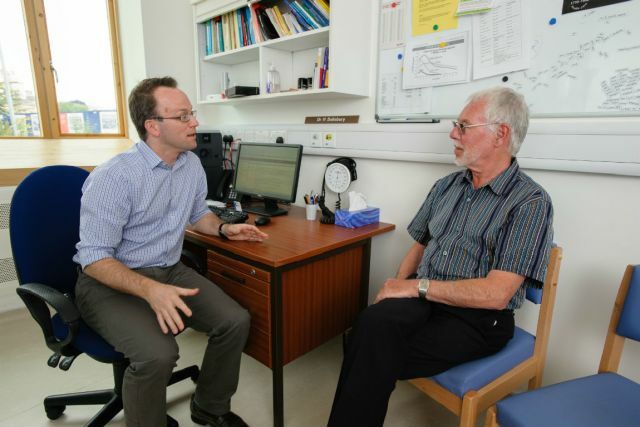 Patient and Public Involvement (PPI) projects help patients and the public to take an active role in working with researchers to prioritise and shape research. PPI could include offering advice as members of a project steering group, commenting on and developing research materials, and giving feedback on ideas. PPI is a key element of many research projects across the Division. Two projects run by researchers in the Nuffield Department of Surgical Sciences see scientists working closely with patient groups, who help to shape the materials around their research. The University’s Public Engagement with Research Seed Fund enabled the establishment of an online patient advisory panel for renal and transplant research, and also supports the Oxford Abdominal Aortic Aneurysm Study. These two initiatives encourage input from patients about their healthcare experiences, allowing them to help shape the research within the Division. Researcher Claire Sexton (Department of Psychiatry) has been recognised by the University for her work as the founding chair of Dementia Friendly Chipping Norton, which aims to bring together people living with dementia, caregivers, community organisations and researchers to increase awareness of dementia locally and improve inclusion and quality of life. Claire was recognised by the Vice-Chancellor for her work with the public – watch her speak about her award. Many departments also offer public-facing information packs for patients and their relatives about various health conditions. The Department of Psychiatry has produced a free downloadable Guide for Parents and Carers of young people who have self-harmed, while the Department of Paediatrics runs the Vaccine Knowledge Project, which aims to be a source of independent information about vaccines and infectious diseases. Further case studies of Patient and Public Involvement Initiatives are available from the Collaboration for Leadership in Applied Health Research and Care Oxford (NIHR) - find out more.